This deli is a gem, not only for its wonderful food, but for its great location. In the heart of Doctor and business offices, this deli has hundreds of employee and medical customers to serve. Also the nearby hospital helps to fill there dining area on a daily basis. All equipment is near new. 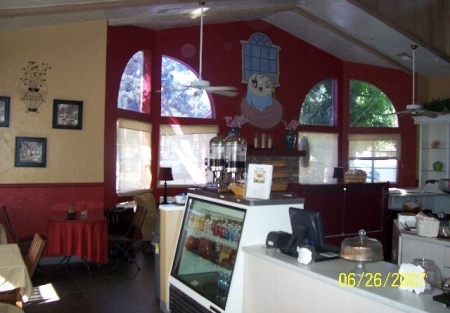 The owner's pride shines through in this spotless end cap restaurant. Inside seating for 20, beautiful covered patio seats 26+. 1,263 square feet, with a base rent of $1,895. Only open Monday-Friday! That's right, you'll have your weekends off! According to the owner, the store is grossing an average of $500 a day. Increase days/hours to increase revenue. Owner is selling due to medical reasons. TAKE THE NEXT STEP. Select the bright orange button below title "want name and address." Register if you're a new client. Then get the name and address by agreeing to the on-line confidential agreement. This will also place you on our exclusive Buyer's e-mail list, giving you first look at our new listings.This is a Business Intermediaries, Inc. listing.